The makers of Readability aren’t the only small app developers openly criticizing Apple this morning for their prohibitive new in-app subscription and purchasing guidelines. The makers of Tiny Grab — a social screen grabbing service — have just posted an open letter of their own, explaining in detail how the new in-app policies would prevent them from coming to the Mac App Store. Why? Apple’s new guidelines don’t allow them to offer goods that exist outside the app and the app store… a must for any cross-platform, digital locker app that exists by selling access to new features or more storage instead of traditional in-app content. Apple would now like a slice of our pie, which is fair enough. We’re more than willing to give Apple a cut of the sales that they assist in, but we can’t. They simply won’t let us. Never mind the fact that 30% is a ridiculous amount to ask us to fork over, considering that we already pay $99 a year for the privilege to develop apps for the Mac App Store and a further $99 a year to develop apps for the iOS store. Never mind that Apple also get a cut of any revenue that we generate from selling our apps through their stores, they now want in on our account and subscription service. However by doing this they’ve just prevented and locked us out of ever being able to introduce the TinyGrab app into the Mac App Store, as well as not being able to ship updates to the TinyGrab iPhone app. TinyGrab makes an interesting argument, and catalogs the numerous ways their service violates Apple’s revised policies. Because of this, they’ve stopped developing for iOS, not as a grand gesture, but because they feel they simply can’t migrate their business to the platform. Of course, TinyGrab’s a service most people don’t use… but the problems TinyGrab outlines in their open letter seem equally applicable to services that people take for granted, like Dropbox. 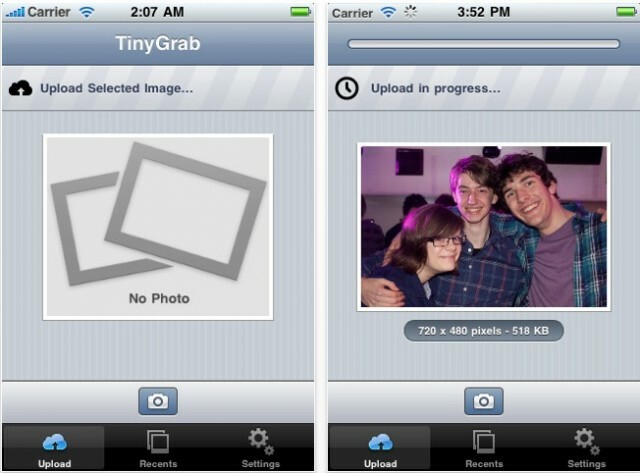 Is Dropbox the next company to pull out of the App Store because of Apple’s revised in-app purchase policies?